At the risk of sounding gayer than most people already think I sound (no comment from the peanut gallery), there’s only two books thus far in my life that have made me cry: Gone With the Wind, and now Tammy: Telling It My Way by Tammy Faye Messner. I finished reading it on New Year’s Day and had tears streaming down my face a couple of times towards the end of the book. For anyone who thinks most of those tears she used to cry on PTL back in the day were fake, all I can say is that she had alot to cry about. My fascination with the former Mrs. Bakker came not from years of watching PTL, as I grew up without cable. 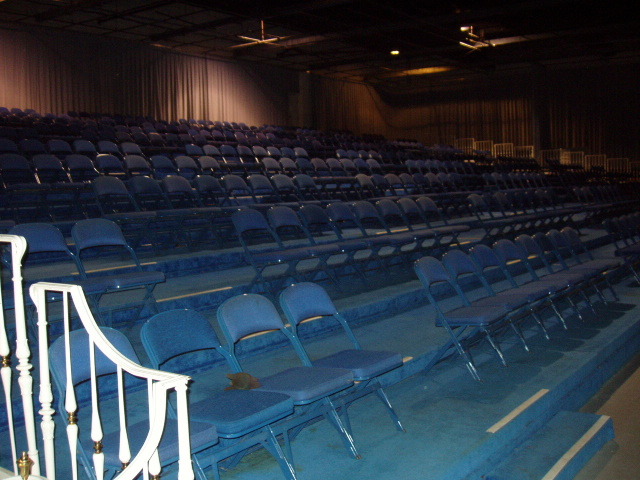 In fact, I stayed overnight at Heritage USA on the way to or from a mission trip to West Virginia in 1994, and had very little clue of what it even was. 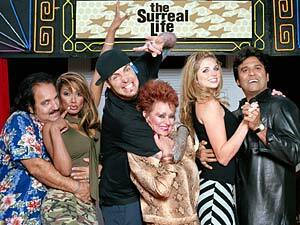 My first experience seeing Tammy Faye was–ironically enough–on cable, when she was a cast member of the reality show The Surreal Life in 2004. I remember that in spite of being surrounded by havoc personified (Ron Jeremy, Vanilla Ice, Trishelle from The Real World: Las Vegas), Tammy always took time to read her Bible and pray. She also never judged or condemned anyone on the show, and ended up making friends with most all of the other cast members. It was while watching this season of The Surreal Life that my roommate at the time told me I had to watch the 2000 documentary on Tammy Faye, entitled The Eyes of Tammy Faye. As thorough and gripping as the documentary was, I still didn’t “get” her; as most Americans with cable back in the 80s thought of her, I took her to be a bit fake, too made up, and unapologetic for swindling innocent, Christian people out of millions of dollars. 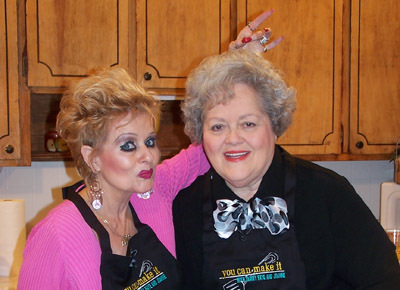 Once the 2004 season of The Surreal Life wrapped, I didn’t think much more about Tammy Faye. Fast forward to late 2006, when I moved down to Alpharetta from Nashville: I had to wait a couple of weeks to officially get hired by the hotel, so I spent much of my free time watching the basic cable we had in the house. One of the channels we got was a public access Christian station that seemed to run mostly low-budget shows, which began to fascinate me for some reason. The little bit I’d ever seen of Paul and Jan Crouch turned me off from watching mainstream Christian TV; however, these public access shows seemed more sincere and humble, perhaps because they were so much less polished than TBN fare. 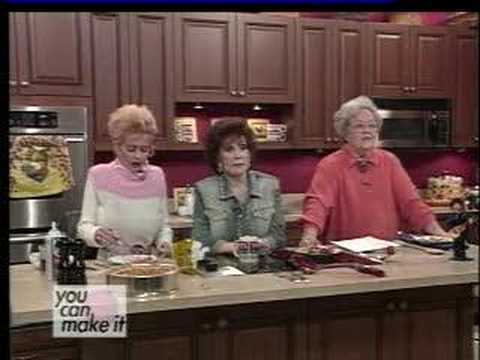 I can’t remember exactly when it started airing, but soon I was watching a cooking show out of a Christian station in Greenville, SC called You Can Make It. It “starred” a very backwoods woman named Joanne (who also hosted a separate “prayer partners” show of her own), and a very sickly, emaciated, more-bewigged-than-ever Tammy Faye. At first, I watched the show more like one watches a trainwreck: I was flabbergasted that anyone would let Tammy Faye on TV looking so haggard, namely Tammy Faye herself! But after a few episodes, it became appointment viewing for me. 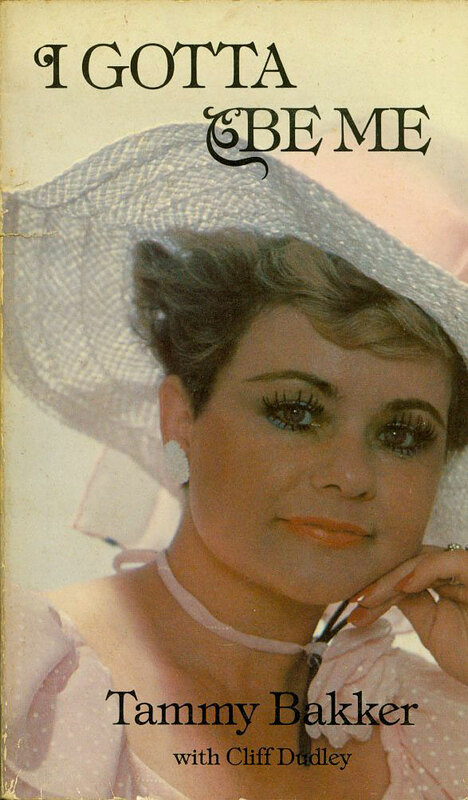 It turns out that that this Joanne lady owned that Christian station in Greenville, and that she’d been friends with Tammy Faye long before the glory days of PTL. Not until my newfound obsession with PTL unfolded these last few weeks did I know this for sure, until I was watching a YouTube video of the PTL New Year’s Eve 1986/87 Celebration at Heritage USA. This was an invite-only, black-tie event for the most generous PTL partners, and who should Jim Bakker call on (among others) to give a short testimony but this Joanne lady! I couldn’t believe my eyes, and all of a sudden I felt bad for thinking she’d taken advantage of poor, sickly Tammy Faye to get ratings for her podunk cooking show. As I’ve been researching this blog, I found out that Joanne Thompson herself died last March at the age of 77. 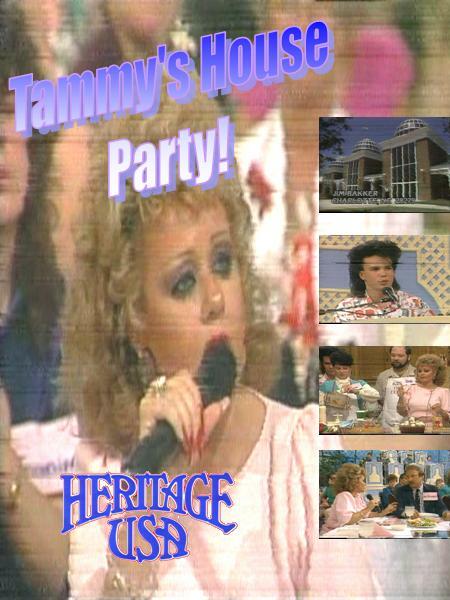 It’s to her credit that she laid out the red carpet (and the bright red kitchen) for Tammy’s final return to Christian TV. When I was in Las Vegas last month, I watched The Eyes of Tammy Faye with my friend Andy, who’d never seen it. We started talking about the pros and cons of the Bakkers, Jerry Falwell, PTL, the whole nine yards. (His perspective is completely different than mine, since he had access to PTL growing up.) 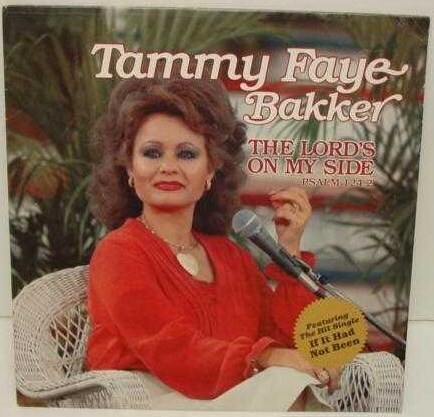 I watched more YouTube videos and did more research, and the next thing I knew, I was buying Tammy Faye’s book off Amazon. Keep in mind that I’d never had any interest in hearing her side of the story; after all, isn’t it so much easier (and so much more fun) to go by gossip and hearsay than taking the time to hear one person’s side of of a very complicated story? Ignorance is bliss, as the old saying goes! Again, my apologies for the poor quality of the picture. Not only was the party over, but the Bakkers were subjected to a living hell. I’m not going to give my opinion on the downfall of PTL here, as that’s not why I wrote this blog. I will say that as neither one of them even completed Bible college (they were kicked out when they eloped after only a year or two of studies), Jim and Tammy simply did not have the business acumen necessary to run such a large corporation. And that’s what PTL and Heritage USA were: Not just one, but two huge corporations simultaneously bringing in and costing millions of dollars to operate. Add in a murky tax-exempt status due to the religious aspect, and you’ve got a recipe for a disaster. Shockingly, Tammy writes of alot of crying after the downfall of PTL (bad joke, but she really does write about how much she and Jim both cried until they wanted to kill themselves.) As is often the case in life, God used these trials (and the literal grand jury trial of Jim Bakker) to humble Tammy. She realized there was more to life than big homes, fancy cars, and multiple closets filled to the brim with clothes and shoes. (Depending on how one looks at it, this was either very easy or very hard for her, since she came from a very poor home in rural Minnesota.) God had mercy on her and brought her through the toughest times, and even by the time she died from colon cancer in 2007, she was completely at peace. 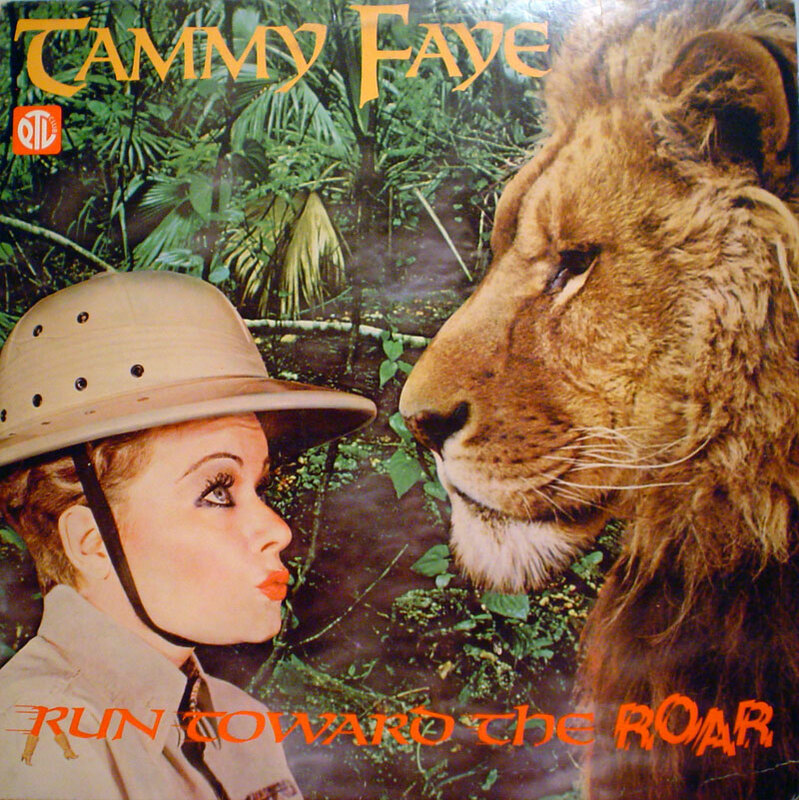 "Run Toward the Roar" was one of Tammy's favourite sayings. 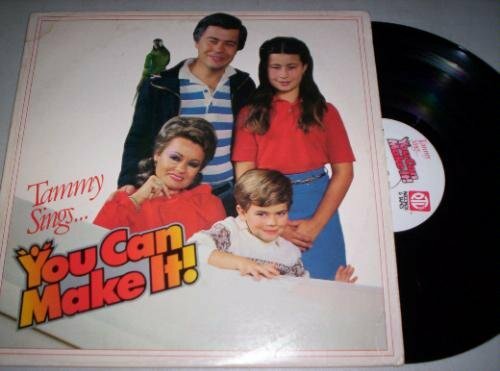 Tammy was also a pretty good singer, at least in my opinion. As none of her songs were released by a mainstream publishing company, they’re not available for download. But I’ve found several of them on YouTube and have been able to convert them to mp3s. One of her biggest hits was “You Can Make It!,” which is where the title of the cooking show came from. 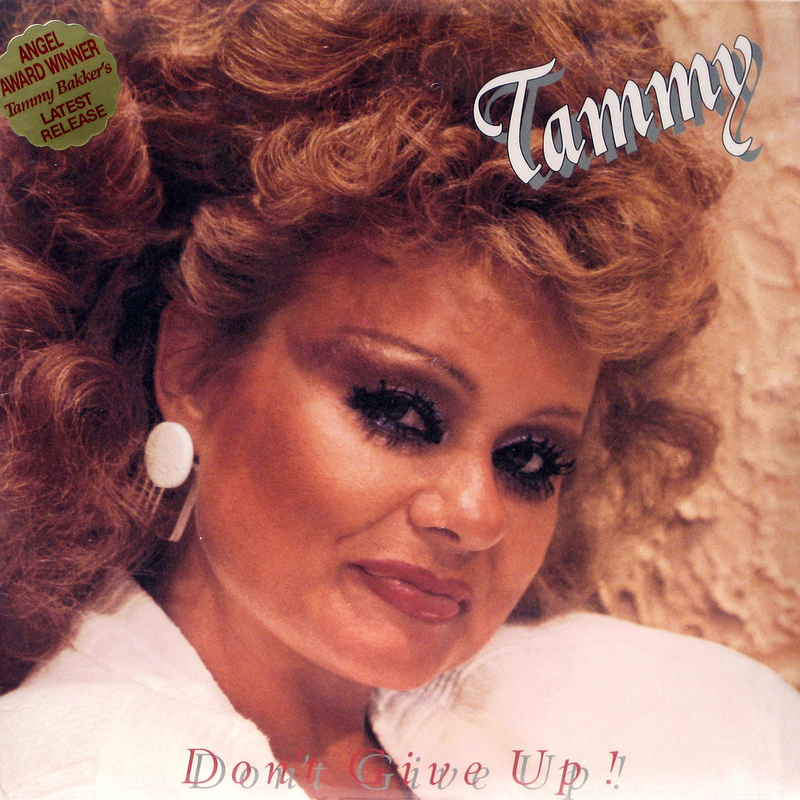 In closing, if Tammy Faye could make it, we all can. Here’s a few more pics of her just for fun. Happy 2012, everyone! 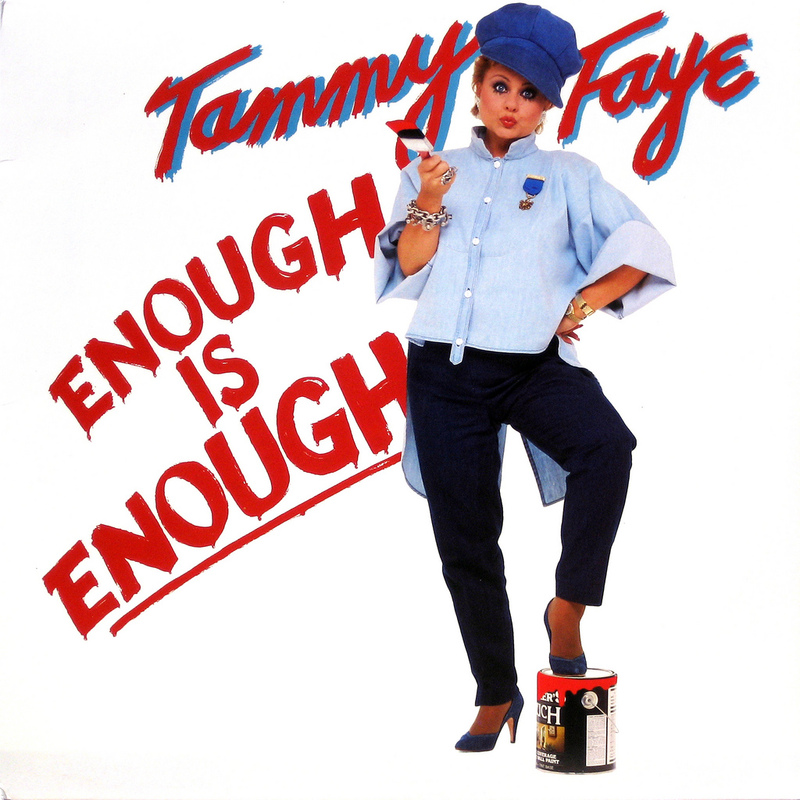 All the fam was on the cover for this record, which came out shortly after she reconciled with Jim in the early 80s. BTW, why is there a parrot on his shoulder?!? Tammy's first book, from the late 70s, I believe. The Tammy most people remember...fake everything!